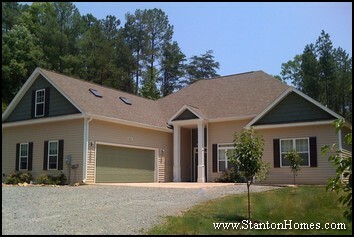 The best way to accomodate special needs is by building a custom home with everything just the way you want it. 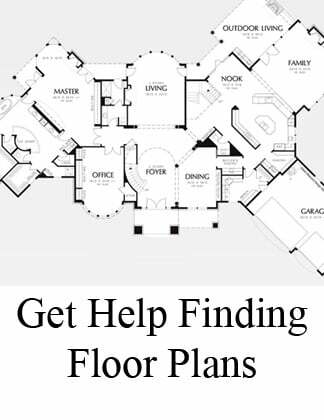 You won't find many accessible or ADA floor plans in online floor plan catalogs or search directories, so choose a builder with a design team that can create what you need, based on your priorities. A builder with experience in accessible home design can find offer many possibilities, with built-in features that make everything easier. 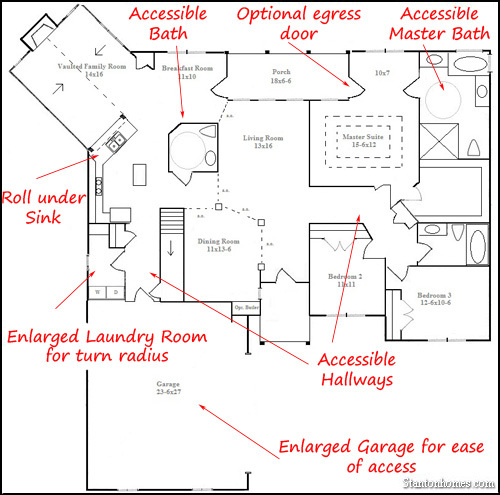 Here is how a custom home builder modified a popular one story floor plan to create two distinctly different wheelchair accessible homes. 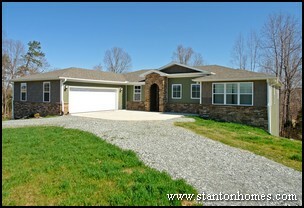 The Elway, a plan by Frank Betz, was modified by Stanton Homes with these two resulting accessible home designs. This original version of the Elway is not an accessible floor plan. 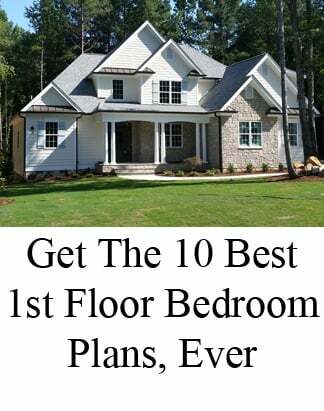 An experienced builder can take plans like this and convert them into homes you can live in comfortably - without maneuverability or usability restrictions. 1. The master suite was moved to the front of the home. An egress door was added for ease of access. 2. The homeowner's lot supported a basement below. 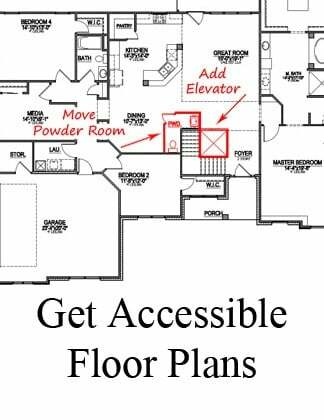 Why is it hard to find accessible floor plans? 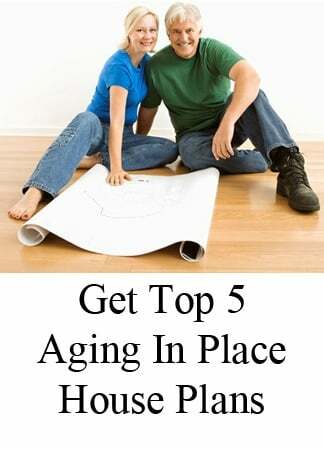 One of the reasons it is so difficult to find plans for accessible homes is that needs vary so widely. Think about all the things you need and make sure your builder can include them. You don't have to settle for merely having wider hallways when you're building a custom home. You can also specify which parts of your home you'd like to have accessible. Every bathroom, or just a certain section of the home? Lower kitchen cupboards? Easy to use door handles? A top builder will offer design services that look at every single detail of your new home. Your custom home builder will work with you to meet your exact needs, and make suggestions according to your budget. The first thing Stanton Homes builds into your accessible home is your lifestyle. Let’s talk about it. What would make everything easier? From zero threshold showers to wider hallways, first floor living, an elevator, universal design, and easy access driveway and beyond - we'll help you create an environment you'll love to live in. When building an accessible or universal design home, there are specific requirements and guidelines for how custom builders design the driveway, walkway, and entrances. Here are the basics you'll want to discuss with your custom home builder. Universal design homes should offer driveways that are a little wider than normal, usually at least 12 feet wide, with an easy turn onto the property. The end of the driveway should be flared to accommodate turning. A universal design driveway needs to be formed from a smooth surface material such as concrete or asphalt, particularly in areas where passengers will be loading and unloading. Slope should be minimized where possible, with careful grading. In regions where icy conditions are possible, it is recommended that the grade of the driveway not exceed 10 percent. In warmer regions, the recommended slope is 15 percent. If the driveway will be used regularly as a walkway to the home, the area should be graded to about 8 percent, with a maximum 1:12 slope to accommodate wheelchairs. This is a slope typical for wheelchair ramps as well. Your driveway should provide level access to your home if at all possible. The driveway should do the climbing – not you. If it is designed appropriately within the constraints of the site, you may be able to avoid steps and ramps. If your home is on a hill, the place where you park should be at the same level as the foundation. If your home is on a slope, you’ll need a level plateau where you can climb out of your car with adjacent access to a walkway – and you’ll need 60 inches diameter in order to maneuver a wheelchair. 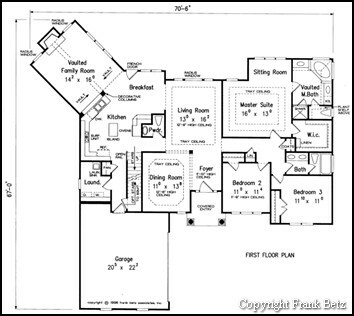 Keep this in mind when choosing the lot for your new custom universal design home. A more level lot can help you save significantly on costs for grading, building retaining walls, and either removing or importing soil to create sufficient level ground. 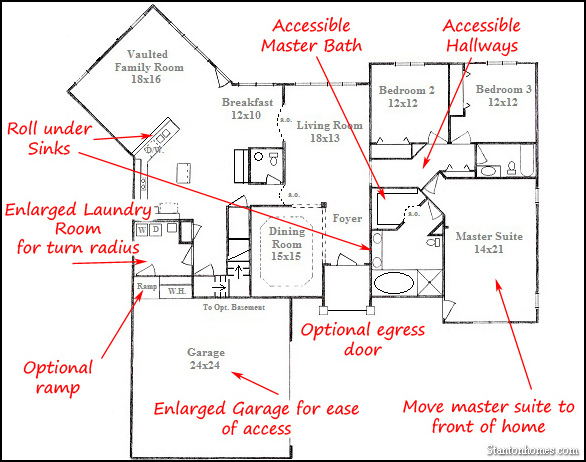 All of these accommodations need to be considered before construction begins on your home. 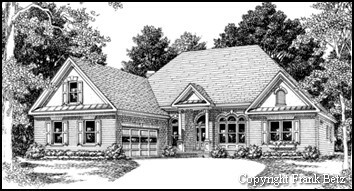 It may even be necessary to change the home’s design to offer an ideally designed driveway. 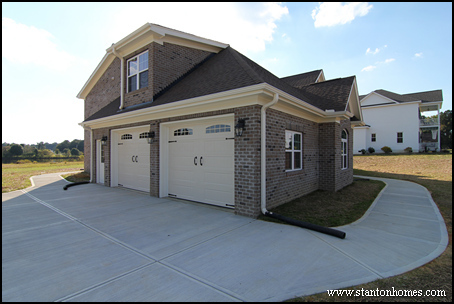 For example, most homes have their garage or carport on the low side of a slope, which means there will be steps leading into the home. This type of construction helps limit site costs, but if steps need to be eliminated, your builder may be able to move the driveway and entrances to the high side of a slope. This could keep steps from being required. However, this may require additional costs for foundation and driveway, as the entire home may need to built a little higher. You may also want to provide a carport or covered walkway to provide protection against the weather. This can be constructed at the same time as your home, or added later. If a site is well planned, it may also be able to accommodate later changes to the driveway, such as widening or lengthening so that additional vehicles can park there. Custom touches can also make life easier, such as reflective markers at the entrance and both sides of a steep or curved driveway, snowmelt tubing installed in the driveway surface in cold climates, or freaming of the area that leads into the home. Check with your custom home builder for more ways to make your driveway a universal design.